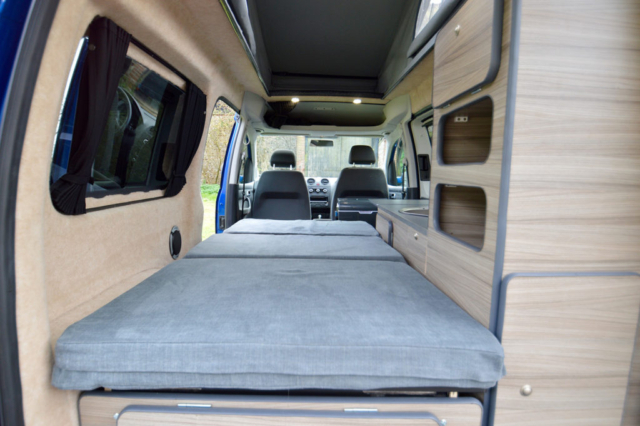 We offer several options for small, medium sized and niche campervan conversions in the VW Caddy and Mitsubishi Delica. 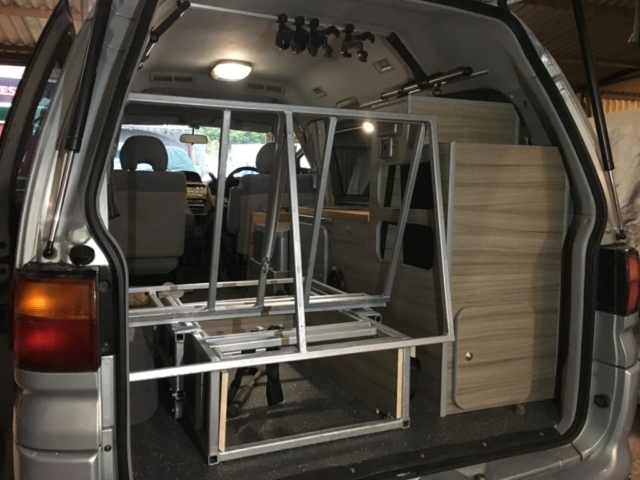 We can also sometimes carry out bespoke builds in larger vans. 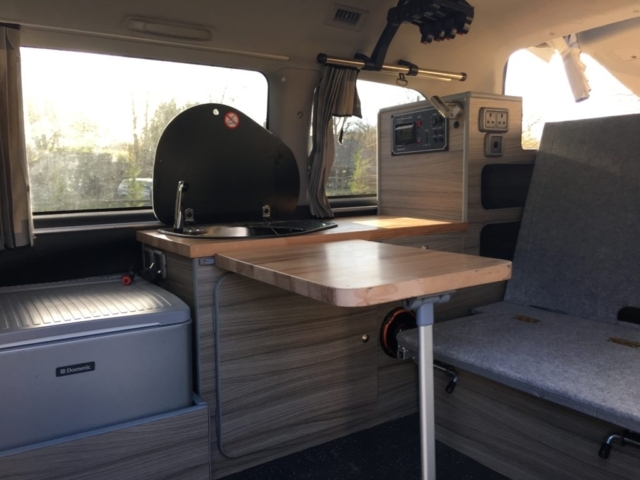 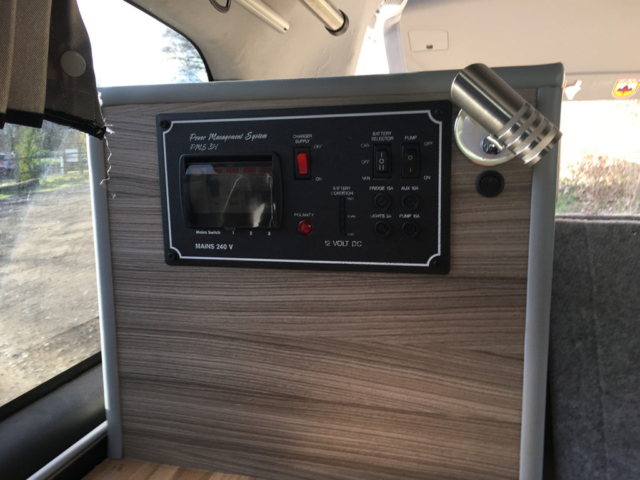 For further information on our small campervans and our other work, please click on the links below. 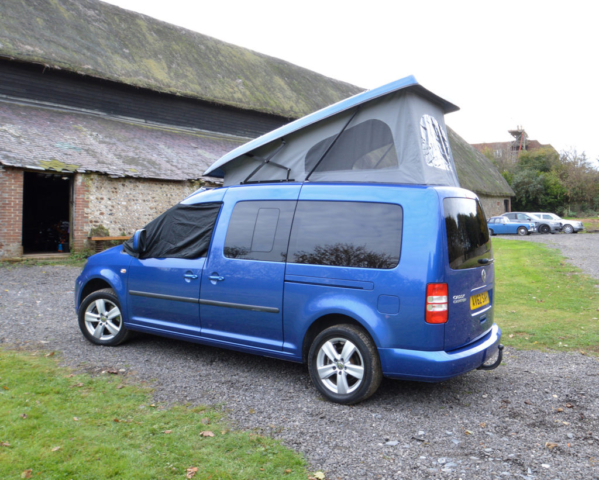 A small camper conversion or “camper car” could be the perfect fit for all of your needs. 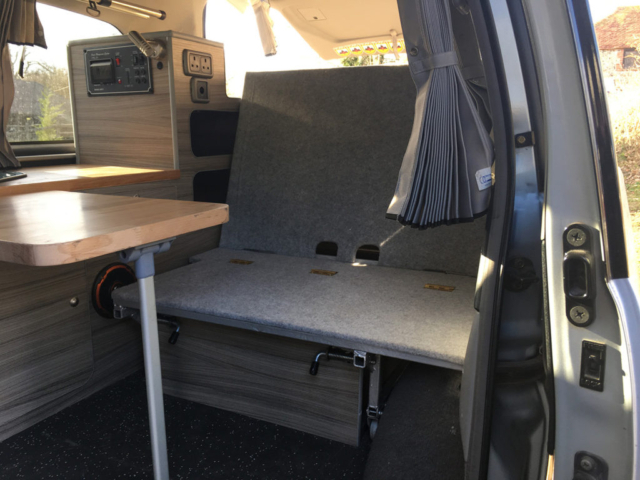 Perfect for a daily run about or as a specialised vehicle, we are specialists at converting the VW Caddy and Mitsibushi Delica but are equally happy working on any small camper conversion. 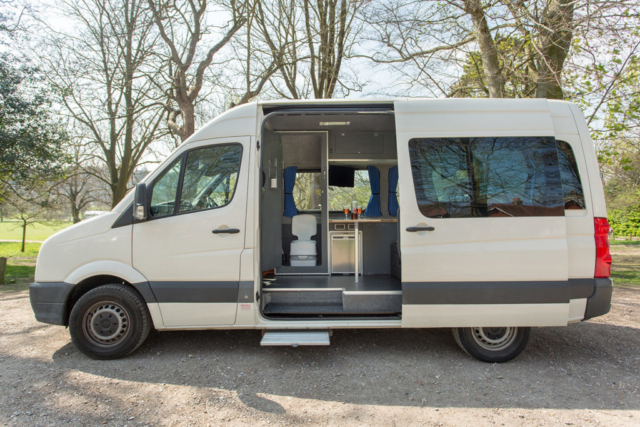 With room for 4, a medium to large conversion could be exactly what you’re looking for. 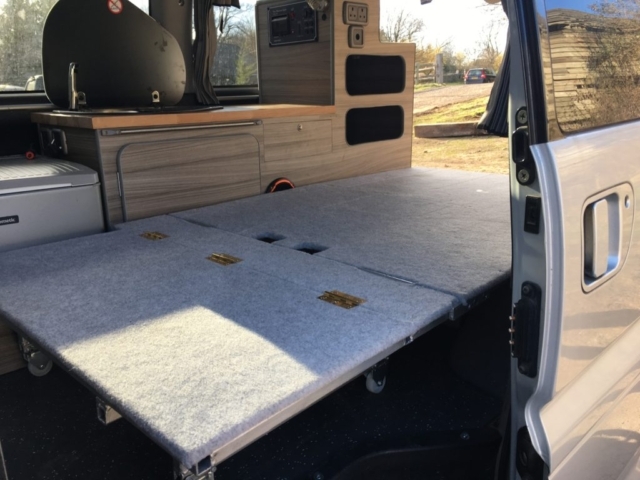 Mid Sized conversions can be just right for driving off road and are comfortable for long trips too. 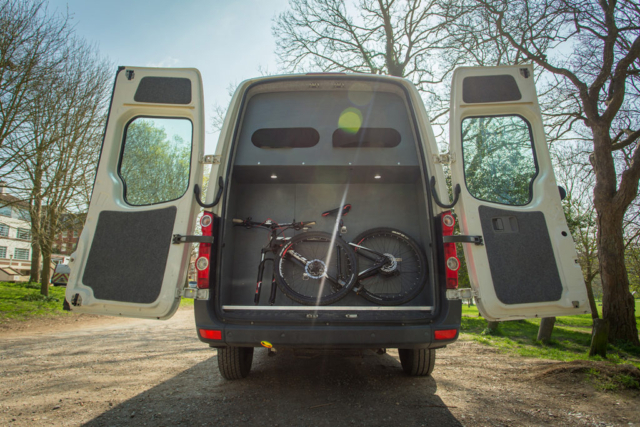 Most are easy to manoeuvre around town too. 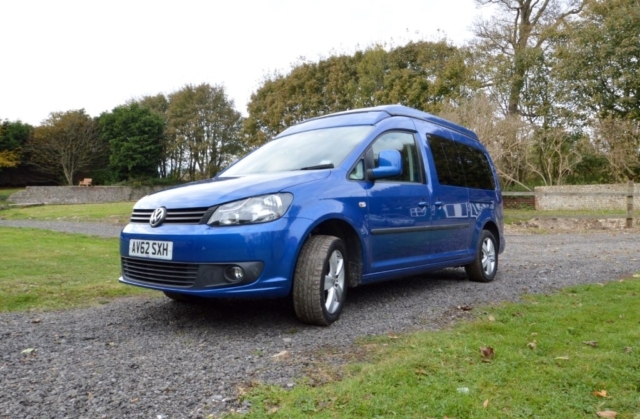 Perfect for families and groups of adults alike. 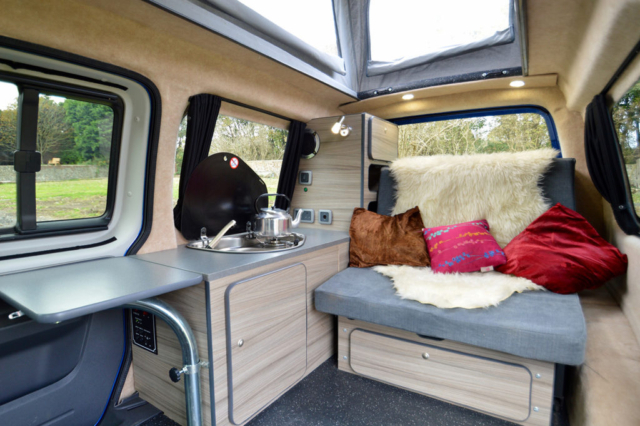 A large sized campervan will also make a perfect long trip option too. 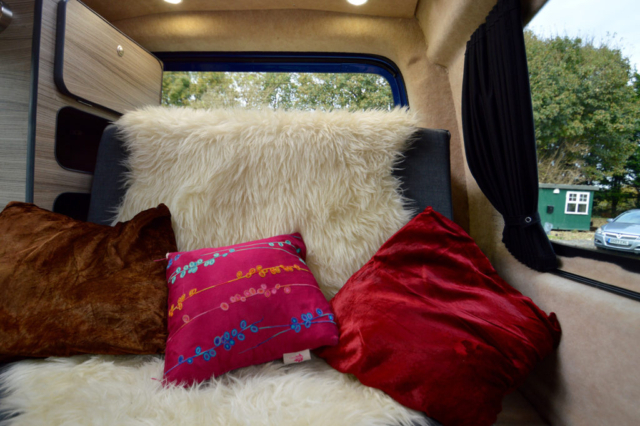 With more space comes more comfort and our vans are all beautifully designed to make the best of space available. 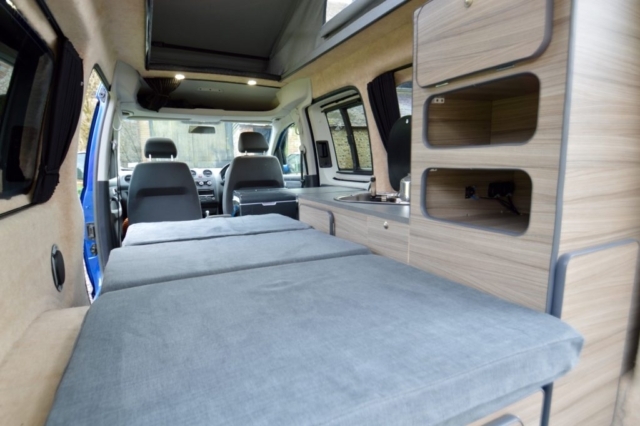 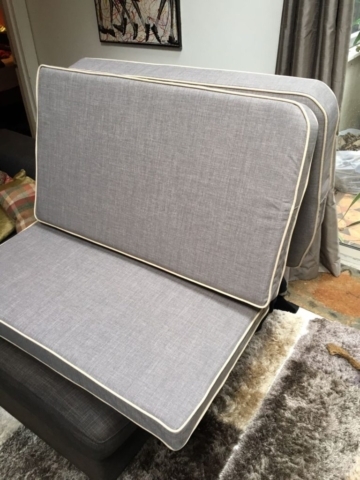 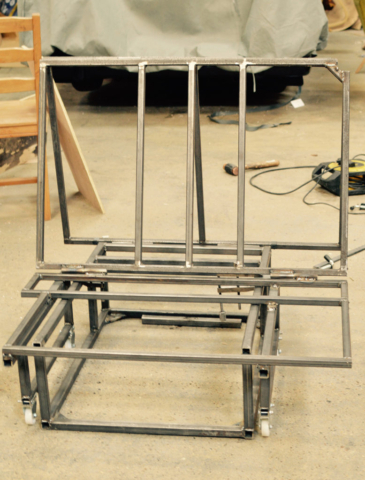 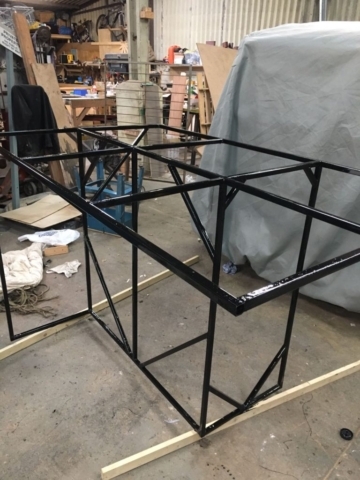 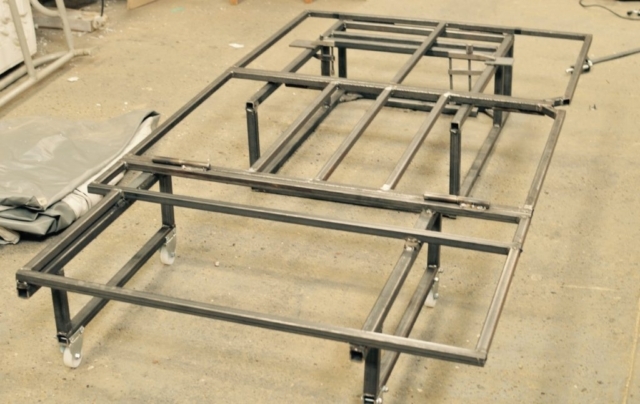 We can provide a number of extras to your current van or we can build them in as we do your bespoke conversion. 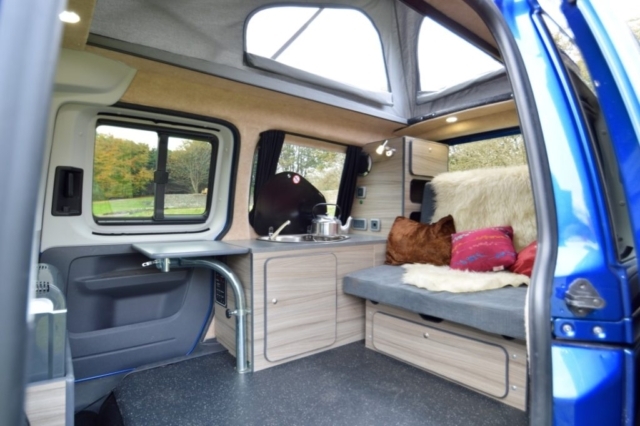 These include: Windows, solar panels, Pop-top roofs, Rocknroll and RIB beds. 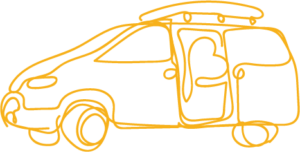 We are also an authorised Reimo agent. 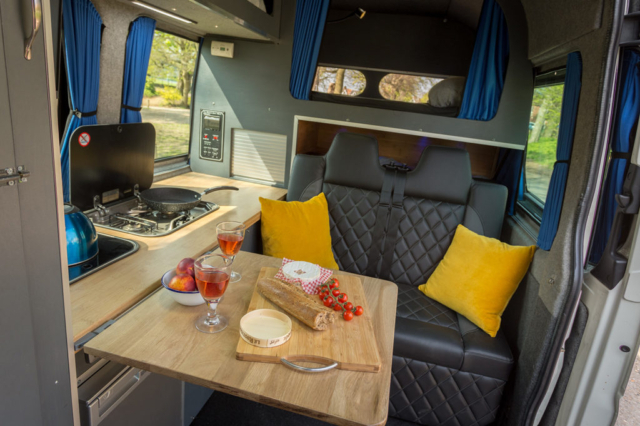 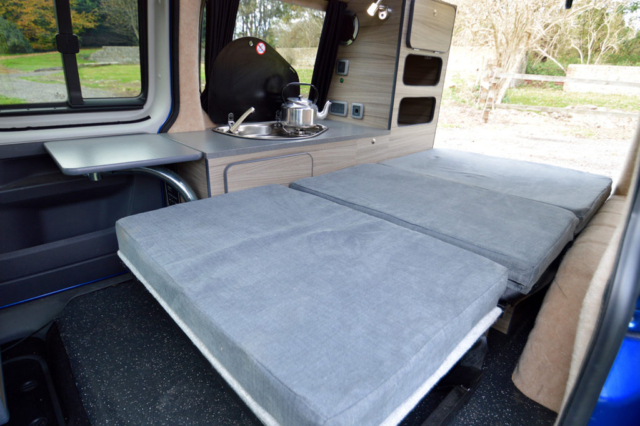 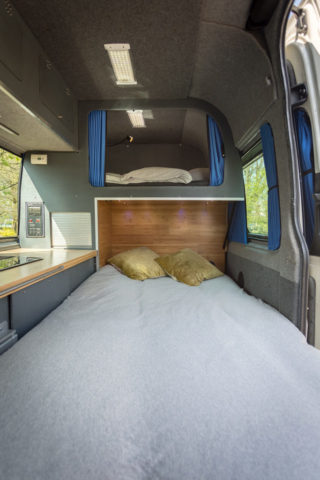 You can find out more about our conversions by visiting our ‘Small camper conversion page‘, ‘Mid and large sized camper conversion page‘ and ‘Large sized camper conversion page‘. 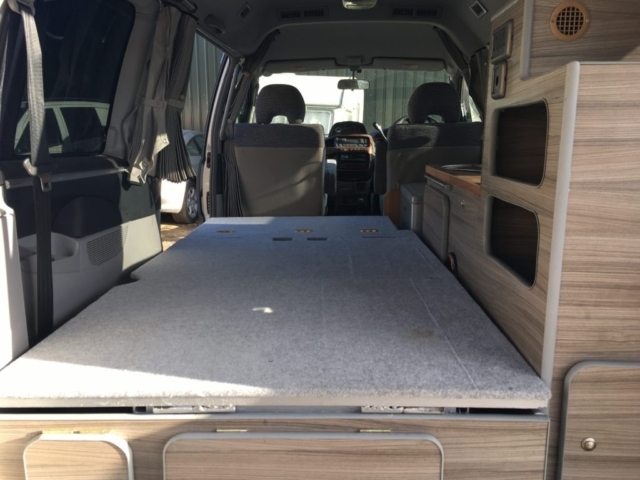 We are specialists in Mitsubishi Delica conversions and VW Caddy conversions. 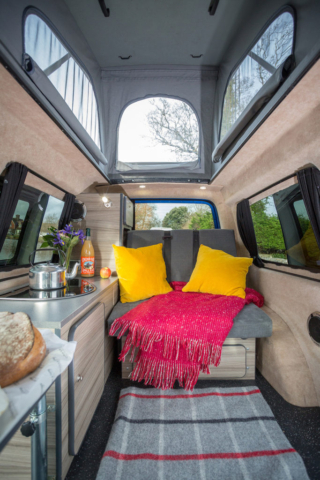 Love Campers are are authorised agents and converters for REIMO – the legendary German Campervan specialist.